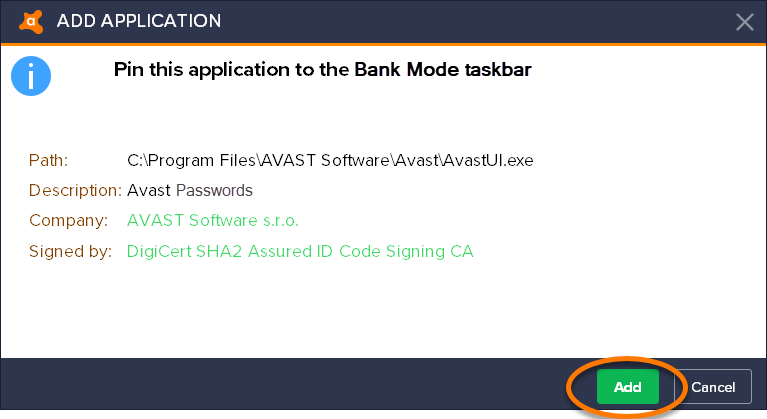 Bank Mode is a feature within Avast Secure Browser, which is available when you install any Avast Antivirus product. Bank Mode provides a virtual desktop, which acts as a clean, safe PC within your real PC. 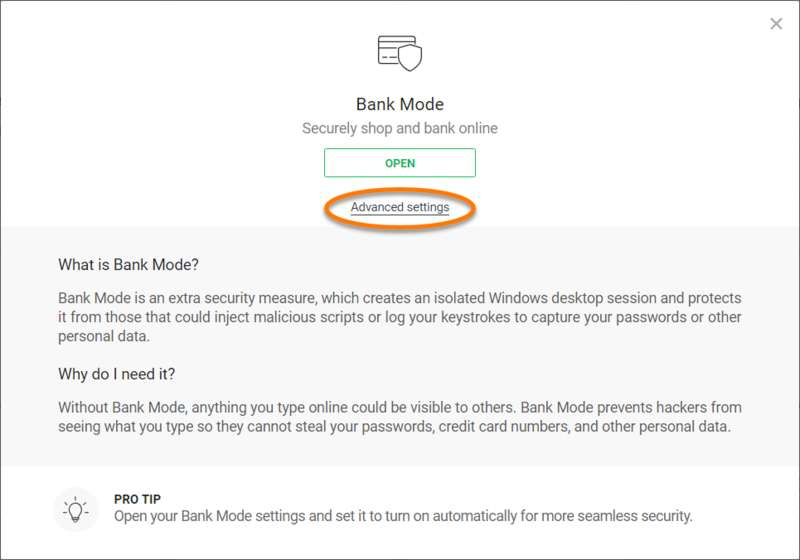 Bank Mode's virtual desktop protects against injection of malicious scripts, keystoke logging, and screenshot attempts by third-party apps, which helps protect your personal data. We recommend using Bank Mode each time you want to access a banking website or pay online. To use Bank Mode, you need both Avast Antivirus and Secure Browser installed on your PC. 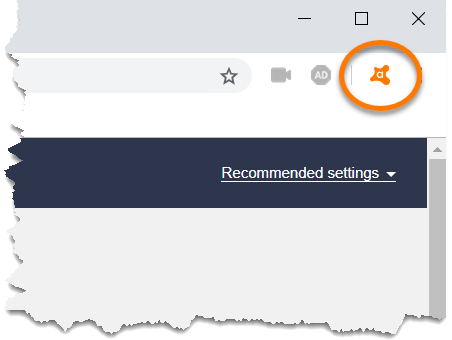 If you previously used Avast SafeZone browser, you may have already received an automatic update to Avast Secure Browser. 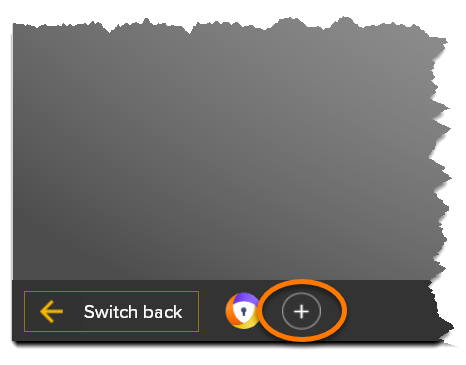 Double-click the Avast Secure Browser icon on your desktop to open a new browsing window. 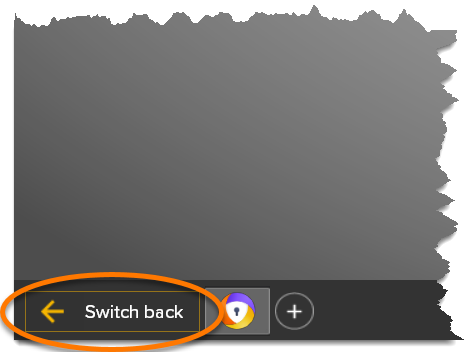 Click the Avast icon in the top-right corner of Secure Browser to open the Security & Privacy Center. In the Security & Privacy Center, click Open on the Bank Mode tile. Bank Mode's virtual desktop opens. You can now safely visit banking websites or execute online payments. You can also open Bank Mode by pressing the Ctrl and B keys simultaneously while in Secure Browser. Once Bank Mode is open, you can easily switch back to Secure Browser, add bookmarks to the task bar, or turn off Bank Mode completely. Bank Mode continues to run in the background when you switch from Bank Mode to Secure Browser, unless turned off completely. Click the Switch back button in the bottom-left corner of the Bank Mode virtual desktop to return to Secure Browser. Click the yellow Bank Mode button in the bottom-right corner of the Secure Browser screen to return to Bank Mode's virtual desktop. Click the red power button in the bottom-right corner of the Bank Mode virtual desktop. Click Yes on the Avast Information dialog to confirm. Click the + sign in the bottom-left corner of the Bank Mode virtual desktop. Select the application you want to add to the Bank Mode taskbar, then click Open. 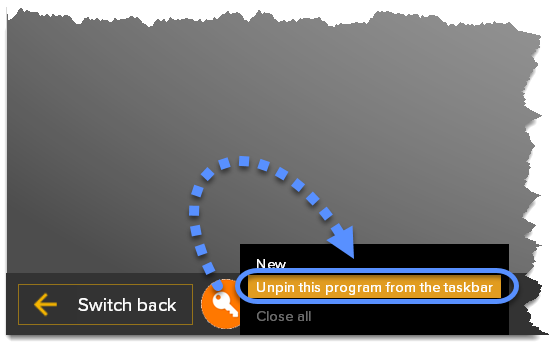 Click Add on the Avast Information dialog to confirm. 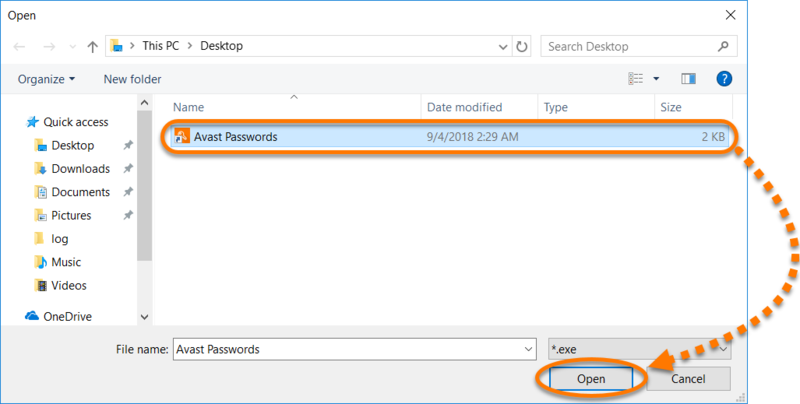 To remove an application from the Bank Mode taskbar, right-click the application icon on the taskbar, then click Unpin this program from the taskbar. 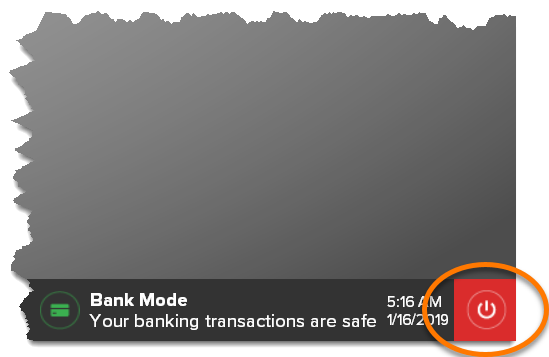 In the Security & Privacy Center click the Bank Mode tile. Click Advanced settings on the screen that appears. 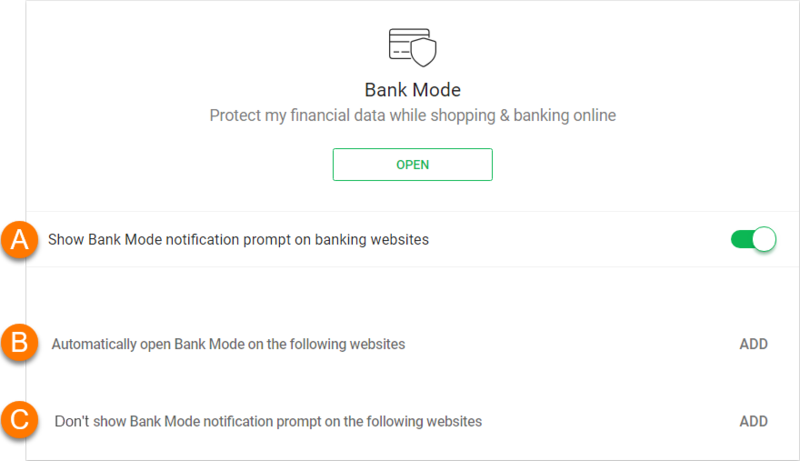 Show Bank Mode notification prompt on banking websites (enabled by default): this option enables Bank Mode to show you a notification banner at the top of your screen when you visit a banking website. 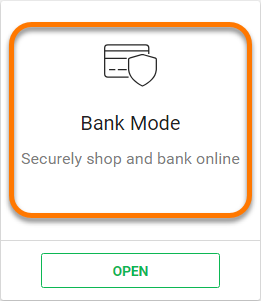 Click Open In Bank Mode on the notification banner to open the website with the Bank Mode virtual desktop, and keep your financial data protected. 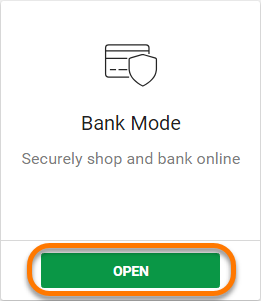 Automatically open Bank Mode on the following websites: this option enables Bank Mode to open automatically when you visit specific websites. Click Add, type your preferred website, and click Add again to confirm. The website now shows in a list under this settings option. 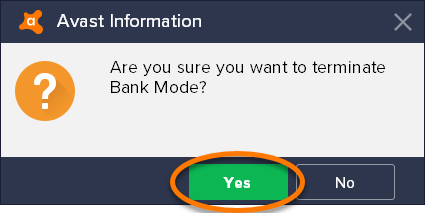 Don't show Bank Mode notification prompt on the following websites: this option disables Bank Mode from showing you a notification banner when you visit specific websites. Click Add, type your preferred website, and click Add again to confirm. The website now shows in a list under this settings option. Ensure the latest Avast program version is installed and your operating system is up to date. Restart your PC. You may need to repeat this step more than once. If Bank Mode still doesn't work, try again to install Secure Browser on your PC.